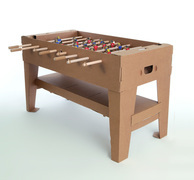 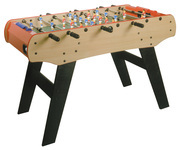 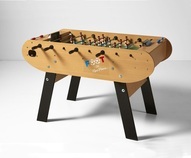 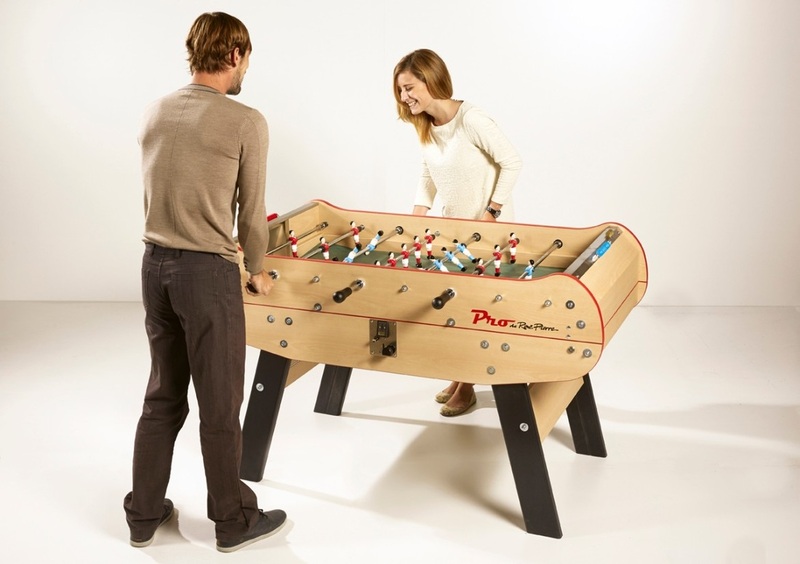 The Baby Foot Pro model is brought to you by the leading French table manufacturer, Rene Pierre. 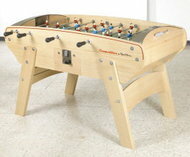 They are known for extremely well built tables and the Pro doesn't disappoint. 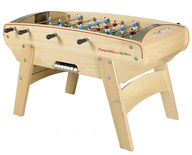 It is an authentic coin-operated version that is intended for bars and tournament play to collect money per game. 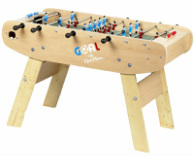 The French play the game with supreme ball control using the tackiest types of cork balls that can be pinned down to the table and controlled. 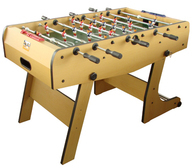 This model also features telescopic safety rods, aluminum figures, angled legs for stability, and optional round or long handle grips.